This week’s SATURDAY SIX takes a look at Six Theme Park Questions For the Magic 8 Ball. 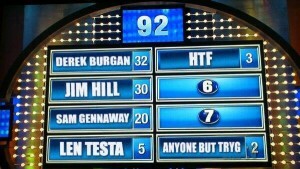 Theme park fans have a lot of questions. In fact, the mailbag at the Saturday Six offices is stuffed with letters from fans asking about their favorite Orlando parks. Unfortunately, thanks to TV being our babysitter growing up, our reading comprehension isn’t that great. We hired some interns to handle the mail, but they are even worse because of YouTube, Vine and Twitter (enjoy life now because we’re all doomed when this generation takes control of things.) So we did the only thing that we could do given the circumstances….we made up our own questions. # 6 – What will Avatarland do in the area of merchandise? Disney has slowly been giving us information on the upcoming Avatar expansion at Animal Kingdom, including the groundbreaking ceremony in early 2014 in which Imagineers used 10 foot shovels. Several attractions have been vaguely teased, and the point is always stressed that this land is attempting to be one of the most amazing experiences in theme park history. It’s James Cameron and Walt Disney Imagineering, two of the best in the world at what they do. However, one thing that hasn’t been mentioned at all is what kind of retail opportunities there will be in this land, if any. 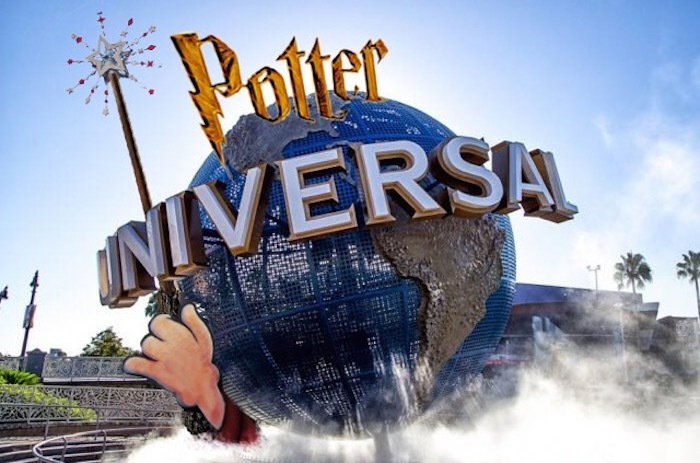 Avatar is the most successful movie in the history of cinema, but it does not lead itself to the traditional methods of merchandising that Universal has used for its Wizarding World of Harry Potter. 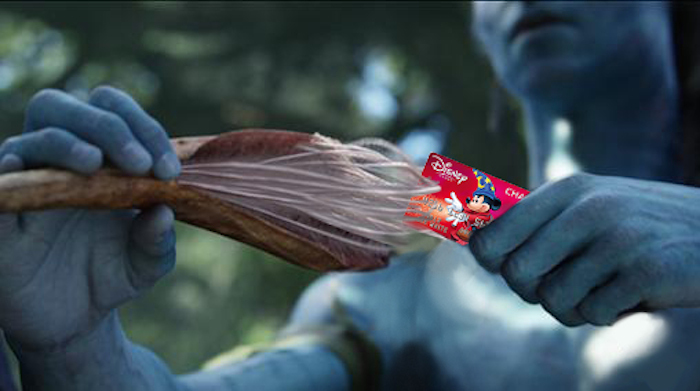 The third act of Avatar is hinged on the fact that the humans have nothing to offer the Na’vi, because the natives of Pandora have no use for materialistic things. What are those materialistic things? Shirts, action figures, magnets, and pretty much anything else you would find in a theme park gift shop. In today’s theme park environment, it seems almost inconceivable that Disney or Universal would commit a huge financial investment in a brand without a strategy to make a good amount of that money back in the area of merchandise. However, it was just as unbelievable when we learned that Harry Potter author JK Rowling would not allow Coke products to be sold inside the Wizarding World. Universal was able to get around that sticking point by creating several new beverages, including the massively successful Butterbeer. Can Disney open its version of Pandora without any gift shops, in keeping with the spirit of the film? I think they can, and I believe that they would earn a lot of good will by doing so. Despite Avatar being the biggest grossing film of all time, most people can’t remember much about the movie, but a gift shop selling tacky goods in the middle of what Disney has planned wouldn’t feel right. Give the guests an unbelievable experience, and then put the requisite gift shops right outside the land, just as there Coke Freestyle machines near the entrances to the Wizarding World. The plan is gutsy, but Universal has just showed us that anything is possible. # 5 – How much further can the Disney/Starbucks synergy go? When Disney first announced that Starbucks would be having a larger presence at its resort, the reaction was largely negative, especially since part of the expansion would include converting over the Magic Kingdom’s Main Street Bakery into a Starbucks. The new Main Street Bakery reopened in June, 2013, and despite fears at the time, the world didn’t end. Starbucks can now also be found in Epcot with Fountain View, and the fantastic Trolley Car Cafe at Disney Hollywood Studios. A Starbucks is coming to Animal Kingdom, but caffeine addicts can get their fix at the TWO locations at Downtown Disney while waiting. And Disney wasn’t alone in wanting to be in the Starbucks business, as the Universal Orlando Resort gave the coffee company a better placement in CityWalk, refurbished their store in USF, created a new venue in IOA, and made the Cabana Bay Beach Resort the first theme park resort in Orlando to have an onsite Starbucks. Despite the unbelievable growth of Starbucks at the resorts, complaints have actually died down. Why? Because Starbucks is good at what they do. Not only are they providing much better coffee than everyone else at either theme park, but the locations themselves provide terrific atmosphere. Recently they debuted their first Disney-specific piece of merchandise and appropriately it was coffee mugs. Right now the mugs are available at Disneyland, Disney’s California Adventure, Magic Kingdom, Epcot, and Disney Hollywood Studios, and you can only get the mug that is for the park you are in. The”You Are Here” mugs are wonderful, minimalist in style but beautiful and echo Disney art from yesteryear. These mugs are among the best pieces of Disney merchandise to come out this year, from anyone. 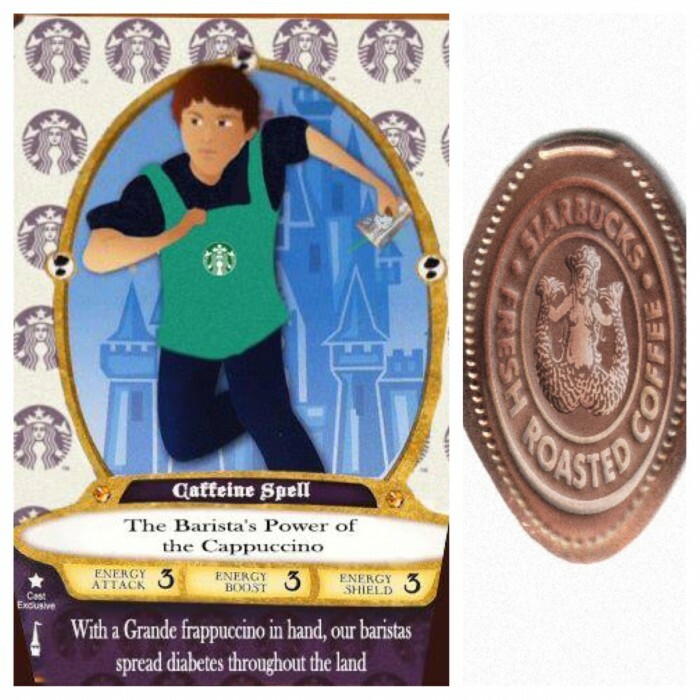 What exactly is next between Starbucks and Disney? We’re not exactly sure, but we’re looking forward to it. # 4 – What will be coming to the PIXAR Place area at Disney’s Hollywood Studios? The park certainly needs more attractions for kids, and we’re all for the re-theming of the Honey, I Shrunk the Kids play area to A Bug’s Life. A whimsical carousel based on Pixar characters would be a great addition, similar to the fantastic Caro-Seuess-el at Islands of Adventure. 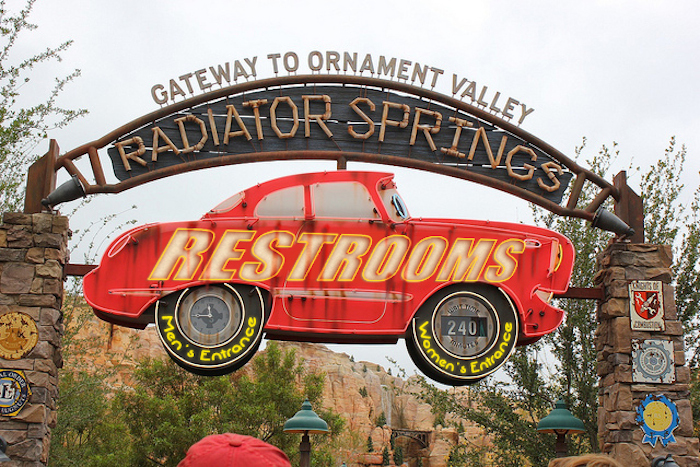 And forget about bringing over Mater’s Junkyard Jamboree and re-theming it to Buzz Lightyear, keep it as Mater with that wonderful soundtrack and we’ll learn to get over not being able to speed through Monument Valley. # 3 – Will SeaWorld be able to make a comeback? SeaWorld has had a tough time of it ever since the movie Blackfish came out. The company’s original response to the film was to just ignore it, and followed that up by financially supporting blogs that attacked its critics. The results were disastrous. The stock price plummeted, attendance dropped despite the company all but giving tickets away in Buy One/Get One deals and Groupon discounts, and the latest earnings report was so bad the company’s CEO left his position the month before it came out. To make matters worse for SeaWorld, Ringling Bros recently announced it would be phasing out the use of elephants in its circuses, and citing a “mood shift” in the American public in terms of the ethics of seeing large animals perform. This is bad for SeaWorld because Ringling Bros have spent years fighting (and winning) legal cases against PeTA and other animal activist groups, but clearly saw the writing on the wall. With elephant performers out of the picture, it is one less spotlight shining away from SeaWorld, not to mention the fact it emboldens animal activists to strengthen their stance. SeaWorld is planning on a multi-million dollar marketing campaign starting in April, hoping that it can rebuild its image. 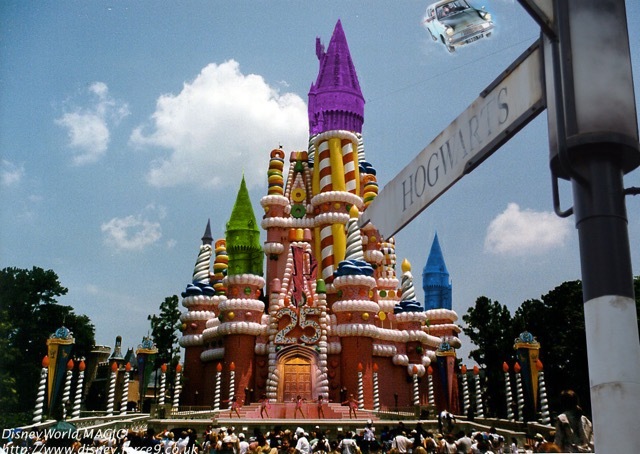 Many in the theme park industry believe their money would better spent on building new attractions, as both Antarctica: Empire of the Penguin and Turtle Trek 360 have not resonated with theme park guests in the way Seven Dwarfs Mine Train, Frozen Fun, Transformers: The Ride 3-D and Diagon Alley have for WDW and Universal. # 2 – What is going on with Star Wars at Disney Hollywood Studios?! We are all watching Disney’s Hollywood Studios being taken apart, piece by piece, and we’re all okay with it because Star Wars Is Coming. So when will we get an official announcement? Star Wars Celebration (April, Anaheim), Star Wars Weekends (starts May 15th, DHS), San Diego Comic Con (July), or D23 Expo (August, Anaheim)? Even though Comic Con would probably get the greatest media exposure, that’s probably the least likely of the four. Star Wars Celebration is also not likely, as it is not controlled by Disney, although you can imagine how positive the reaction would be. We are going to cross out Star Wars Weekends because it gives us bad memories of #IgerWatch in 2013, where we had this exact discussion two years ago. 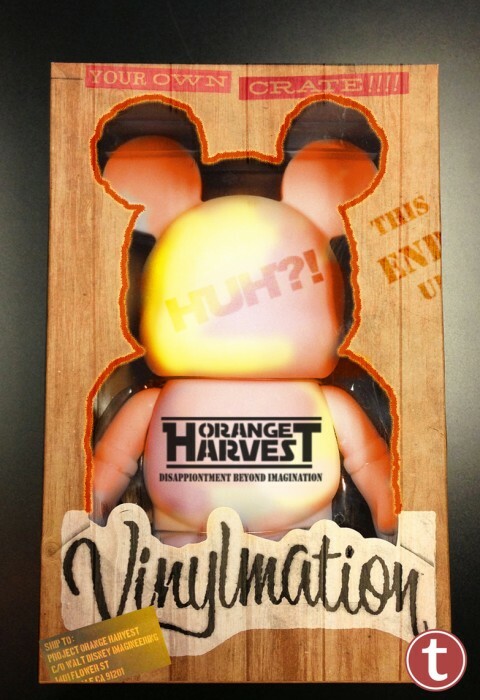 That leaves us with the D23 Expo, the very same place where we got the Orange Harvest tease in the first place. Of course, there’s a fifth option: we won’t get any information in 2015, but let’s try to stay positive. 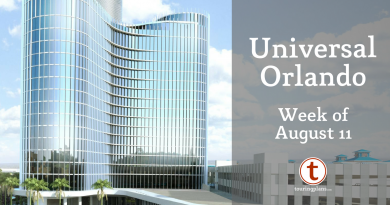 # 1 – What will the Universal Orlando Resort do for its 25th Anniversary? It’s one thing not to have any announcements for a possible Star Wars Land that may or may not be built by 2019, but it’s something else not to have a single word on the upcoming 25th anniversary of Universal Studios Florida on June 7th. Why are we keeping things a secret? This is a time to celebrate! A 25th Anniversary for a theme park is a Big Deal, even though Disney’s Hollywood Studios had almost no fanfare for its silver anniversary last year. In DHS’ defense, it would have had to get around the fact that the park was named something completely different in the past “MGM” ( a phrase WDW is still trying to get people to stop saying when referring to the park.) Several of the DHS anniversary items also ended up at the Outlet Stores, leading one to believe that there wasn’t a large fanbase fondly reminiscing about the time when the studio backlot tour was over an hour and a half long. But this is Universal Studios Florida! The first real challenger to Disney’s throne in Orlando. Jaws, Kongfrontation, and Back to the Future: The Ride are still in many guest’s hearts and E.T. Adventure continues to be one of the best experiences in any theme park. Meanwhile the additions of the Mummy, Simpsons, Men in Black, Transformers, Despicable Me and Harry Potter franchises have completely turned USF around and made it into one of the best parks in the world. SO LET’S HAVE PARTY!!! HONORABLE MENTION: Will Universal officially announce the King Kong attraction before or after guests are riding it? This is getting so bad Universal can borrow DVC’s Best Kept Secret tagline. 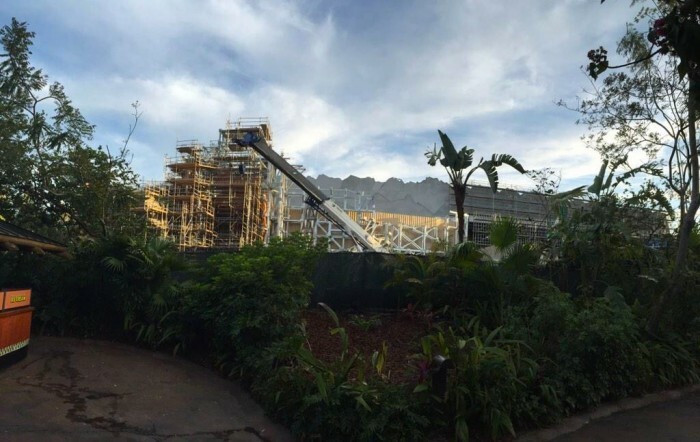 Work on the area in-between Toon Lagoon and Jurassic Park in Islands of Adventure is moving along at rapid pace. While nothing has been officially said, the CFO of Comcast recently let the cat out of the bag and stated Florida would be getting a King Kong attraction. It is unknown if the radio silence is because of Intellectual Property contracts, or because Universal stills feel burned by all the people who didn’t renew their Annual Passes after The Wizarding World of Harry Potter – Hogsmeade Village was announced (instead waiting until the area was open.) If it’s the latter, Universal needs to take another page from the Disney playbook and sing Queen Elsa’s Let It Go. The Universal Orlando Resort is not what is was just a few short years ago. Guests are not going to skip experiencing Diagon Alley because of a King Kong attraction “coming soon.” We are currently in the greatest moment of theme park expansion since Michael Eisner gave us the Disney Decade. New hotels, new attractions, new restaurants, a completely redone CityWalk, and a new water park are coming. Universal needs to shed its inferiority complex and be proud of what it has become. And while they are at it, let people know a 20 ton gorilla is about to make its return to the parks and let the fans rejoice. So there you have it: Six Theme Park Questions For the Magic 8 Ball. See you next weekend for the latest installment of the SATURDAY SIX, where we’ll look at something fun from the world of Disney and Universal. If you enjoyed yourself, be sure to check out The Magic, The Memories, and Merch! articles, or, for your listening pleasure, check out the Pardon the Pixie Dust podcast. Special Thanks to crack staff photographer Brandon Glover, master photo manipulator Matt Cleary (a true genius), Seth Kubersky, photo wunderkind Mike Sperduto, and Megan Stump for their invaluable assistance with this article. Be sure to also check out Brandon on The Park Blogger podcast with co-hosts Aengus Mackenzie and Brian Carey. 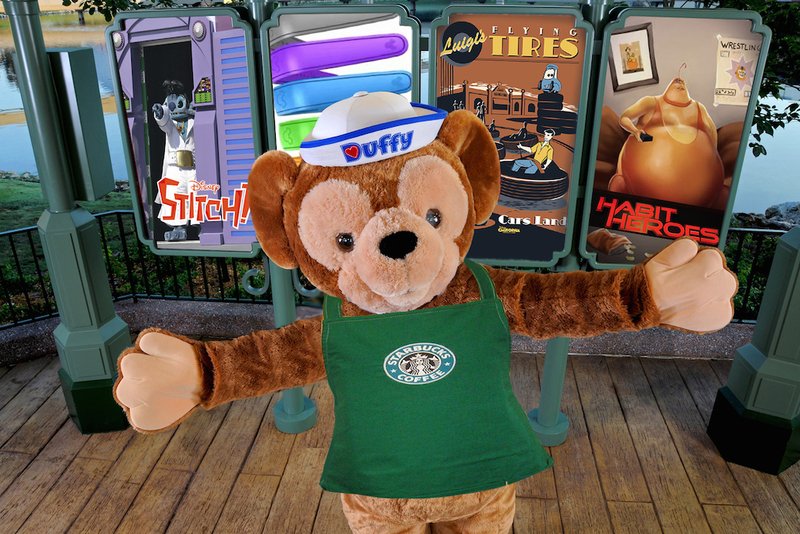 Now I want a Starbucks Duffy. I want a Starbucks Duffy as well, but not for the purposes your thinking of. I was diagnosed with type 1 diabetes a year ago and I thought the caption was hilarious. Lighten up a little. “Will Universal officially announce the King Kong attraction before or after guests are riding it?” Had me cracking up!!!! 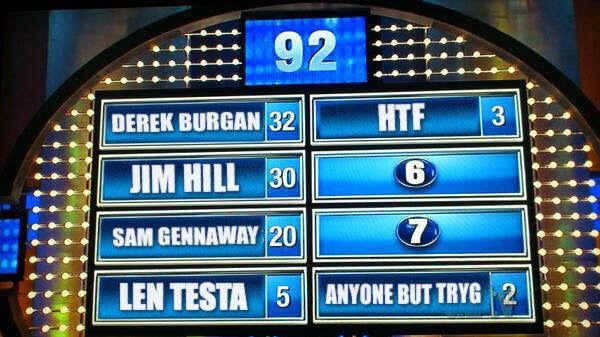 I definitely need to hit the “Brian” demo much harder. You guys leave the best comments. Frankly, I barely notice Starbucks at the parks. I don’t particularly care for their coffee, except the lighter roasts. The level of coffee in general has improved with the advent of better coffee at Disney overall. And I want coffee before I get to the parks, which is why I bring my own coffeemaker. I am still bummed by the changes to the Main Street Bakery, but why continue to complain about it? It’s a done deal, time to move on. I have to take the approach that if it makes a lot of other Folks happy, then that’s a good thing. Even Len voted for me, and can you blame him? Award winning podcaster… nationally known blogger… two time runDisney medal winner… I’m basically this version’s Thomas Jefferson. Shades of green has had Starbucks for years! Maybe Avatarland doesn’t really have to worry about merchandising…who would want to buy it? I could not care less about this park, and wish wdw would have chosen something – pretty much anything – else. That movie was only the success it was because of the cutting edge effects. Is that really going to happen for the next films? Disney better prepare itself for this next Avatar movies going over like The Matrix sequels.